A Small Orange’s Tiny web hosting plan provides everything one would need to get started online at a highly-affordable cost. With extremely limited disk space and bandwidth, you will not be able to host a large, high-traffic site on the Tiny plan, but it is scalable and upgrading is easy. That being said, there were a number of intermittent server issues that occurred during testing that ruined what were otherwise very-good page-load speeds. Despite these problems, A Small Orange was able to maintain a 100% reliability score. Unfortunately, A Small Orange has earned the NCM Online designation of NOT RECOMMENDED. The cheapest web hosting service reviewed to date, A Small Orange offers a complete range of shared Linux hosting plans that start at only $35.00 per year for the Tiny plan, and range to $30.00 per month for the Super plan. Notably, all shared plans utilize SSD (solid-state drive) technology to enhance the speed and reliability of even the lowest cost plan. 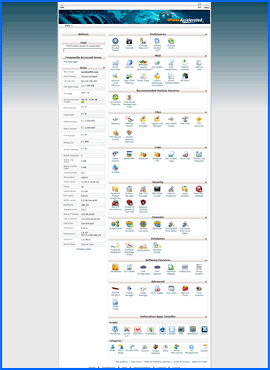 cPanel control panel. Click to enlarge. The main difference between the five shared plans is the amount of disk space and bandwidth provided. At only $35.00 per year ($2.92 per month), the Tiny plan is A Small Orange’s lowest-cost offering. It includes only 250MB of disk space and 5GB per month of bandwidth. At $5.00 per month, the Small plan includes 1GB of disk space and 20GB per month of bandwidth. At $10.00 per month, the Medium plan includes 5GB of disk space and 100GB per month of bandwidth. At $20.00 per month, the Large plan includes 15GB of disk space and 300GB per month of bandwidth. At $30.00 per month, the most costly of the shared plans is the Super. It includes 25GB of disk space and 500GB per month of bandwidth. In addition to five shared Linux hosting plans, A Small Orange offers business-class plans, cloud VPS (virtual private server) plans, hybrid and managed dedicated server plans, as well as reseller plans. We found signing up for and using A Small Orange’s Tiny plan to be quick and easy. In addition to credit card (recurring or one-time) and PayPal, payment options include check and money order. Within a few minutes of placing our order, we received the “Welcome” e-mail which included all of the information required to set up our hosting account, upload our site, and point our domain nameservers. Our NCM test site was live within an hour of sign up. All web hosting services reviewed by NCM Online are purchased and subjected to our 10-day test for uptime and speed. Not amongst the fastest shared services tested, A Small Orange’s Tiny plan recorded a less-than-impressive speed of 1.7493 seconds to load our test site from 13 locations worldwide, and 1.4557 seconds from 7 U.S. locations (see screenshot right). The underwhelming page-load speeds can be directly attributed to server issues encountered on 3/6/14, 3/7/14, and 3/15/15. The seven reported errors consisted of five TCP 10060 errors (a connection attempt failed because the connected party did not properly respond after a period of time, or established connection failed because connected host has failed to respond), and two DNS 12007 errors (the host name ‘www.ncmtest04.com’ could not be resolved). While there were 1,012 successful attempts to monitor A Small Orange page-load speed over the course of our 10-day test, the 7 errors ruined what was otherwise very good to excellent server speed. A Small Orange Speed Test Results Chart. Click to enlarge. Consider that had we begun our testing two days later on 3/8/14, and completed our testing one day earlier on 3/14/14, A Small Orange would have averaged a very respectable 1.1417 seconds to load our single-page test site from 13 locations worldwide, and only 0.8218 seconds from 7 U.S. locations. Unfortunately, we cannot make exceptions for bad server days, as speed testing results are based on the recorded 10-day average. The uptime test results proved to be far more positive. Tested every 15 minutes over 10 days, A Small Orange recorded a 100% reliability score (see screenshot above right). A Small Orange Uptime Test Results Chart. Click to enlarge. 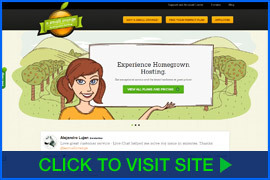 A Small Orange provides a number of excellent hosting features including a 90-day money-back guarantee and an A+ Better Business Bureau rating. However, two notable negatives: extremely-limited disk space and bandwidth, remain a cause for concern. If you are planning a high-traffic site that requires a significant amount of bandwidth or disk space, the Tiny plan is not for you. Additionally, A Small Orange shared web hosting plans provide chat and e-mail technical support only. There is no phone support. Ultimately, it was the intermittent server issues encountered during page-load speed testing proved to be the deciding factor between a “Recommended” and “Not Recommended” designation. While it provides a number of excellent features at a most-affordable cost, A Small Orange’s Tiny plan includes negatives that ruin an otherwise positive review. A Small Orange has earned 3.5 stars and is not recommended by NCM Online. Cheap website hosting company price comparisons based on 1-year term list price before coupon/promo codes or limited time/introductory offer discounts. These are the renewal rates for the second year of hosting. To ensure that you receive the most affordable A Small Orange pricing possible, please visit our Web Hosting Coupon Codes page for current discounts and special offers before making any purchases. A Small Orange (ASO) started its business with a basic mission statement for success: provide the highest quality support and service to clients at a reasonable price. In subsequent years, the firm has built upon this philosophy of accompanying its servers with the best service. The company knows that customers have a large variety of web hosting firms to choose from and wants its customer service to set it apart from its competitors. The vision of ASO is clear and reflects its commitment to serving customers: Perfecting web hosting while preserving a homegrown feeling dedicated to people, including customers, the community, and personnel. Since its founding in Atlanta in 2003, the company has expanded to more than 70 employees and now provides service to tens of thousands of global clients. The team has been recognized by the industry for its customer service and 24/7 support. ASO’s subscribers require personalized support and unparalleled reliability. In order to meet client needs for connectivity, speed, and uptime, the company provides state-of-the-art web hosting facilities. 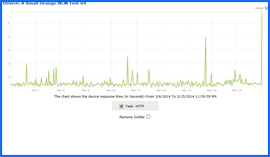 The shared hosting accounts feature low concentrations so that customers can enjoy swifter load and response speeds. 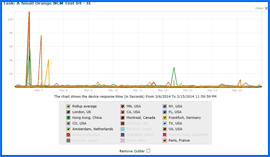 There are no unlimited hosting plans to bring in resource hogs whose excessive usage can slow or crash shared servers. Clients find that the company’s hosting facilities deliver all of the redundancy and security they seek. ASO’s centers for data are monitored by CCTV, and many lines of physical security protect servers. Protections for centers and servers include back-up battery and diesel power, and climate and fire controls. Technicians are accessible in data centers 24/7 and are continually implementing innovative technology and procedures in order to remain at the forefront of the industry. Centers for data and web hosting use electrical power – often in large quantities. ASO is concerned about how this energy use affects the environment and desires to facilitate the development of energy that is low in carbon, sustainable, and renewable. Therefore, not only does the company use host technologies that are energy efficient, but it has chosen to step into the energy forefront by using Renewable Energy Certificates (RECs) to match 150 percent of the electricity it uses. These RECs provide that one and one-half kilowatt hours of electric power produced by renewable energy sources will sent into the power grid for each kilowatt hour of electric power used by the company for website hosting. The company believes that focusing on the customer’s viewpoint will lead to the best result for the customer. All products and services are created with client satisfaction in mind. ASO has found success through clearly presenting user-friendly products that bring customers a rewarding experience daily. The variety of the company’s web hosting solutions include business and shared website hosting, managed hosting through dedicated servers, and hosting through virtual private servers (VPS), along with more innovative hosting solutions. 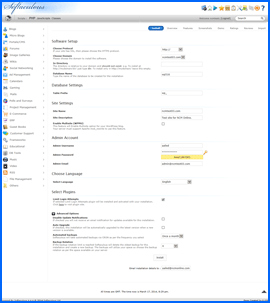 This video tutorial demonstrates the installation of WordPress on A Small Orange shared hosting account using cPanel and the Softaculous 1-click installer.